There are different types of Bees. Honey Bees are known for being really easy going and only become aggressive if you threaten them in some way. They don't just randomly buzz after you and sting you. Most people get stung by wild bumblebees which have nests in the ground. Then there are wasps and yellowjackets which people confuse with honey bees. Honeybees are extemely gentle and will only sting if you give them a good reason like banging into thier hive. I wear protective gear if I am going in the hive but if I am just around them or just peaking in the hive they do not bother me. After you are around them you less and less fear. I have been stung a few times and usually I did something I shouldn't have done to warrant the stings. I dropped a hive body and I didn't have protective gear on my ankles and I got stung there. I learned from this so I always wear boots now if I am going into the hive and removing things. 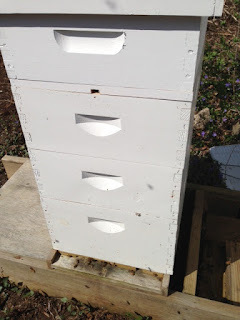 I also learned to take the honey by tricking the bees out of the supers. Stings are actually good for you. My husband tries to get stung because of his arthritis in his hand and after a sting it is better. The stings set of antibodies in your body which can be very healing for you. 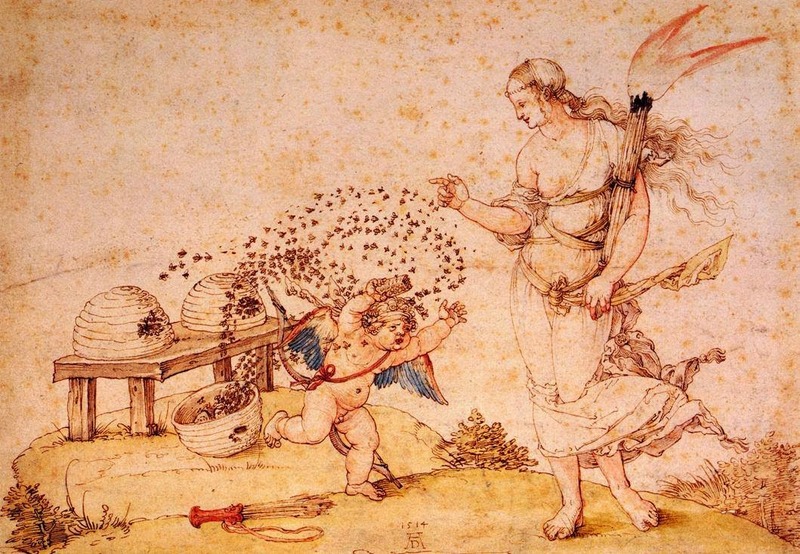 The pollen from bees and the honey is extremely healthy and better than a medicine cabinet. I had a lot of fear of the hives when I was younger and I wanted to get bees for years and was afraid. As I got older I got less and less afraid of things and more settled and meditative. I wish I had started sooner because it is such a sweet thing to do. I guess I am not much of a joiner because I have never taken a class. I just watched YouTube Videos and read some books. I also bought my 1st hives a couple years ago from Mann Lake in Minnesota and this year I bought cheaper ones from www.Betterbee.com . I also get my bees from Walter T. Kelley in Kentucky. I tried Russian Bees but my advice is that they are slow to get going in the Spring and they are feistier. I lost my Russian Bee hive the 1st year. Then I went to Italian Bees and they are fantastic Bees. I can't say enough good things about them and the honey is amazing. I bought more honey bees after trying out my first Italian Bees. They get right to work and produce really quickly. and run their hive. It's not necessarily something you would intuitively understand right off the bat but makes perfect sense once things are pointed out. 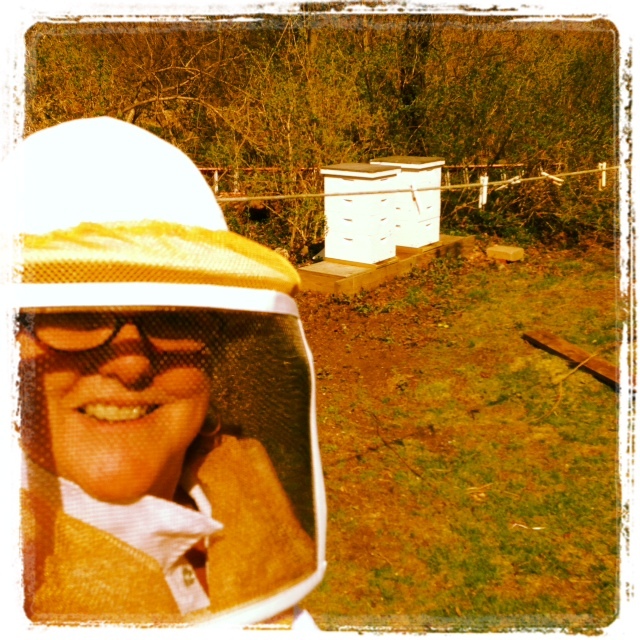 My honeybees were an attempt to get over my bee phobia, too! Well, I am more or less over the phobia...sort of getting more and more respect for them... not fear just respect. 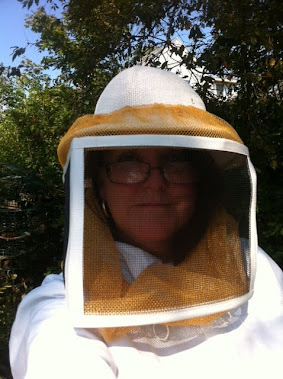 I faced many problems during the starting stage of beekeeping. I heard about Dadant-American Bee Journal from my friend. This is a very useful monthly journal which I learned a lot to become a successful beekeeper.